At our sites, in our offices, on the road and at your job sites, safety is a core value. 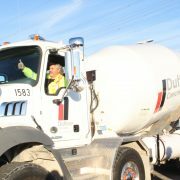 At Dufferin Concrete, creating a safe work environment is part of our culture. 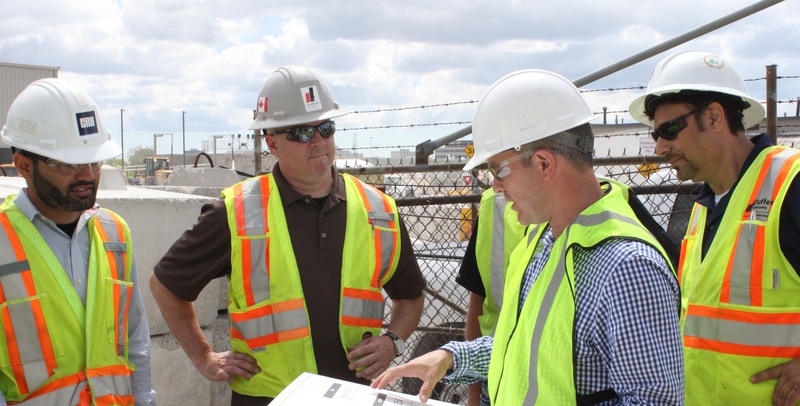 We have an essential safety system that touches every aspect of our operations. We believe that all injuries can be prevented through the vigilance and empowerment of every employee. There is ongoing training provided to ensure safety remains top of mind at all times. We encourage employees to find and share innovative ways to make their jobs and environments safer for themselves and others. There have been numerous safety awards received from industry associations recognizing our achievements in program development, staff training, industry contribution and safe-work-record accomplishments. We work closely with our partners and customers to ensure that we are all contributing to a safe work environment so that everyone goes home safely at the end of every day. Whether commuting to and from work or operating company vehicles on a job site, almost all of us spend hours of our time on the road each week. In Ontario, 85% of motor vehicle collisions are a result of “driver error”, not road or weather conditions. 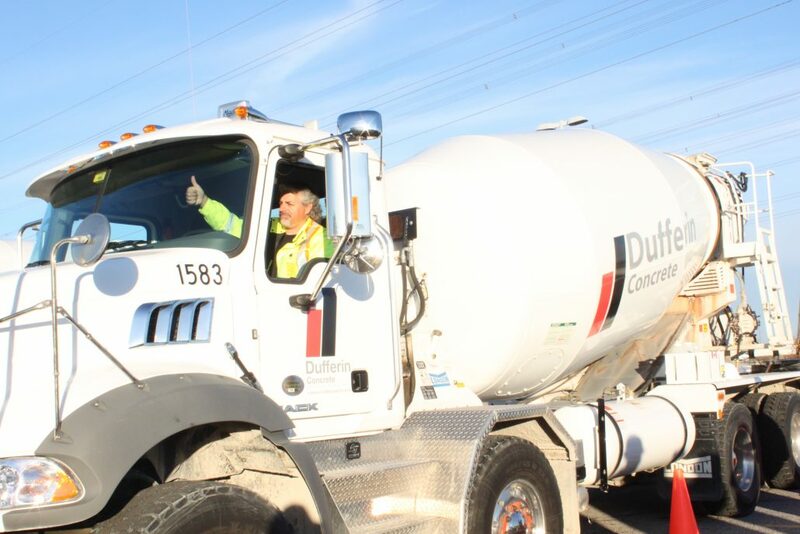 In order to encourage safe driving behaviour and further strengthen their commitment of Occupational Health and Safety, Dufferin Concrete (DC) launched a Defensive Driving Program for employees driving company vehicles. The Defensive Driving program was initiated in 2016 to train our company drivers on the importance of defensive driving. 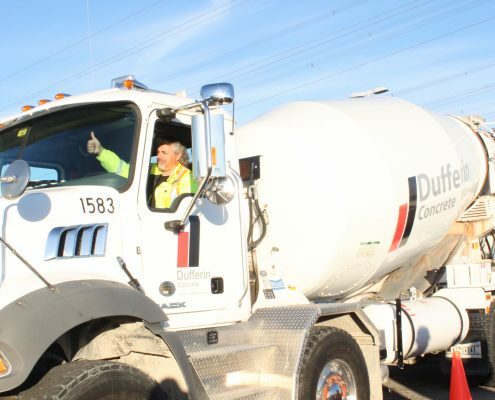 Defensive driving is not only important to keep our drivers safe on the road, it is also essential to keep everyone safe on our customer job sites. The program focuses on prevention, ensuring drivers do everything reasonably possible to avoid and prevent vehicle incidents. By definition, a defensive driver is one who drives to prevent collisions in spite of incorrect actions of others and adverse driving conditions. Having our drivers focus on their defensive driving will keep them and the community around them safe. 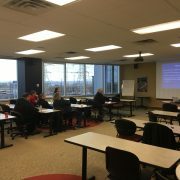 The DC Defensive Driving Program provides employees with the Infrastructure Health & Safety Association (IHSA) training and recognizes their pledge to safe and defensive driving, through a certificate of completion at the end of the course. This program is another way that employees can demonstrate positive safe behavior by following safe driving procedures and continuously committing to make safety our family business, at work and at home. Checking blind spots is an essential part of defensive driving. Our drivers are trained to be vigilant in blind spot checks to ensure the safety of those around them who may be unaware of how many, and how big, the blind spots for a ready mix driver are. Watch the video to learn more. In an effort to always strive for Zero Harm, we are proud to offer tail gate safety talks at our customers’ sites for their crews to share industry best practices and keep all of us safe on job sites. Safety is always a top priority in our industry and we’d like to share best practices for commercial vehicles on safe driving as it relates to recognizing various blind spots around their vehicles. This is important not only for day to day operations, but of course also during delivery of products and services to your jobsites. Accidents big and small still happen in our industry all too often and these lead to injuries, lost time, expenses, and in tragic cases, fatalities. To work towards our goal of Zero Harm to our employees, our customers’ employees and the community, we provide customers with a safety package that contains pertinent safety information about construction safety practices. Download the package below or speak to your Sales Representative if you’d like more information.